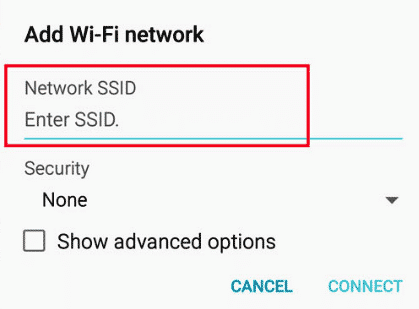 A Wi-Fi ID is required to connect your Android system to a wireless network. For a clearer understanding of the structure of the interaction of the gadget, on which Android is installed, with a Wi-Fi network, consider the basic concepts and features. SSID - if literally from English is the service identifier. If in Russian, this is the network name that the user creates when he registers a WiFi point / network on his router. There are visible and hidden networks, but each has its own name with which other users (their devices) can find the network and connect to it. If, for example, you take a smartphone with the Android system and open the Wi-Fi settings, you can see a list of available connections. First of all, we see their names. Click on the item of interest, enter the password, if it is provided, connect. Our device connects to the network, and starts sending and receiving data. But you can hide the SSID! If the name of the wireless point is hidden, then connect, respectively, to such a network will not succeed, because it will not be in the list of available. In the parameters of the router there is a section "Wireless setup". Depending on the router model, the name of the option may be different. At this point, you can assign any name to the WiFi network that is convenient for the user, and also make the SSID invisible. In the configuration of the router, as indicated above, you can hide the name of the network. Then you can not find the connection point in the standard way. In Android, you can go to the settings section of the wireless network - there will be displayed an available list. To do this, you do not need to do anything extra - just go to the appropriate section of settings and turn on Wi-Fi - the identification of routers is done automatically. 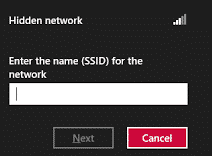 Next, you need to make a network selection, focusing on the desired name, enter the password (in the case of non-password-protected networks, this step is skipped), click the connect button. The problem becomes a situation when it is known that in a certain place where the user is located, there is a hidden network. Consider what you need to do to find it. Why even hide the WiFi point? One explanation for this is that the network is not visible, which means that it will not be hacked. Even with a long password, there is a chance that it will be attacked. But the hidden points usually nobody touches. Technically, nothing changes. Only the router stops broadcasting the name of the access point (SSID). Wireless Internet continues to be heard normally, at typical speeds for equipment. In this case, the devices see the access point, but do not display it in the list due to the lack of a name. In fact, such measures do not stop intruders who are savvy with modern utilities that can easily circumvent such tricks. It is possible to find a network without a name; it is enough to have an installed OS. Kali Linux on your PC and a set of utilities from it for monitoring WiFi networks. For OS Windows there are also analogues of these utilities. How to protect yourself? If we talk about which protection system is more effective - a complex password or network hiding, then the first option is much better. It is recommended to create a password in which there will be at least 12 characters, letters with different, possibly alternating case, numbers. In this case, hacking the system is almost impossible - for this you need to have powerful utilities, spend a lot of time, which is usually absolutely not justified. After installing the program on the phone, the SSID of interest is printed in the form of asterisks (*). But to connect, you still have to enter the password, if it is provided by the settings of the point. What information is needed to find a hidden access point and connect to it in the Android OS? SSID is required, but the password may not be provided if the point is open. All settings data must be checked - they must match the data of the router. If there is a difference and errors, then the search and connection will be ineffective.